For example: A project I was on had a nifty widget to configure a webpage, which made use of jQuery. When the search solution was integrated, however, it turned out that somehow the search solution conflicted (rather seriously) with jQuery and broke the widget. When faced with doing without the (expensive) search solution (which had been paid for) or the (free) jQuery library, the decision makers tasked me with refactoring the widget to work without jQuery. Obviously I couldn't have done it had my knowledge not gone "use jQuery." Given the URL and text in the image, I suspect this image was put together by our old regexinating pal bobince! When you're trying to reboot the system to get the electric fences back on. A question which is not answerable with "Use jQuery" is not an appropriate question. My answer is correct because my answer is correct. Particularly, I don't like jQuery and I would rarely recommend it to someone. jQuery has cool features and a bunch of plug-ins, but its philosophies make people answer questions like the above. Probably when the answer "use jQuery" itself doesn't solve the question or problem at hand? At the end of the day jQuery itself is a framework solution that still requires some implementation details to really solve a problem. You should take a look at jQuery and jQuery UI to handle this. In my opinion, "use jQuery" is not a valid answer any time the asker has not specifically asked about jQuery, and here's why. The user should have to opt-in to hearing about jQuery, not opt out. The only question to which the answer is not jQuery is "To what question is jQuery not an answer?" When I'm using Greasemonkey, jQuery doesn't work without an ugly workaround. Usually I don't want to bother. I've learned that the appropriate solution is to Google prototype [whatever I'm trying to do] example and I get by just fine. If that ever fails, I'll ask on StackOverflow. By the same token, when I'm freelancing on a client's web site, if the client is requesting animations and AJAX calls on a page, I'm going to use jQuery. But I'm not going to add the entire jQuery library to his page's overhead when all I need is document.getElementById("foo"). Any answer suggesting jQuery should still include the answer of the question using jQuery. But in general, I hate answers that raise more questions. And the question is: why jQuery and not YUI. ...and when you write a Chrome-extension, did you know that it even has XPath? So really it depends on what the question is, but for the most common questions "use jQuery" is the answer, and that's kind of the point. How to deal with random use jQuery solutions that do not address the question in need? How should this poorly received question be improved? 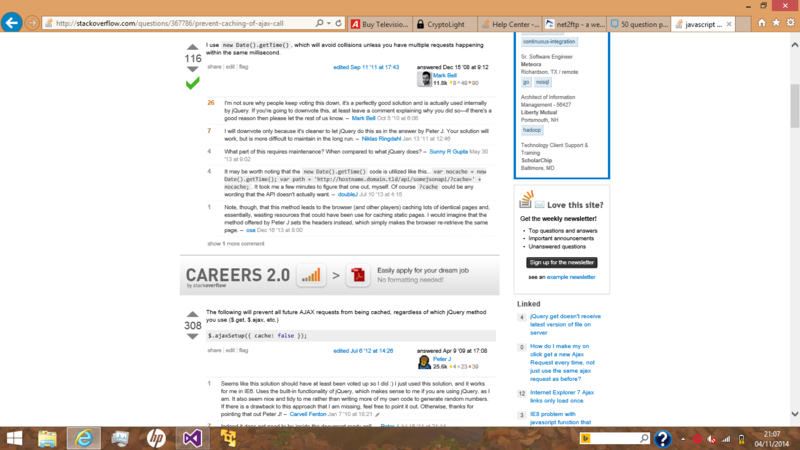 Why Stack Overflow use jQuery?